Support for Eufy RoboVac or Smart Bulbs? 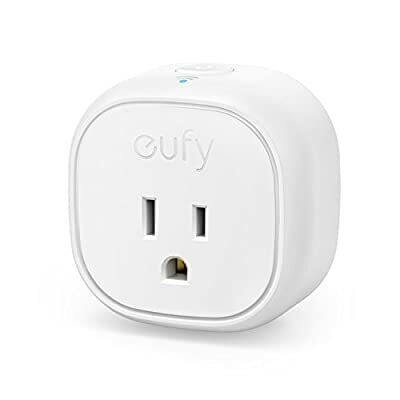 Has anyone looked into integrating Eufy smart devices into HA? I myself have their RoboVac 11c vacuum (they’ve since released an upgraded 11e model), and I saw that their smart bulbs have been on sale on Amazon the last few days. I did some quick searching around the internets, and I didn’t find anything in terms of an API or similar. I just saw the Amazon sale as well. Hard to beat $12/bulb. I would love to see this as an option, myself. I just bought a couple of these bulbs, and they work well with Google Assistant. I too am looking forward to a HASS component. Now their energy-monitoring smart plug is on sale for $14. I would LOVE it if this were to be added to Home Assistant. Sadly, I’m not finding anything out there related to integration or APIs. Their products work with Alexa and Google Assistant, but not IFTTT or anything else. I’ve just finished implementing a Python module for controlling the Eufy bulbs. I’ll need to get clearance to release it, but once that’s done I’ll write some integration code for HA. This is awesome. Could this python module (or similar) eventually be extended to eufy’s other smart products, like the switches and vacuum? I have a switch, but not a vacuum. With luck the vacuums speak a similar protocol in which case things will be easy enough if someone’s willing to send me debug logs from the Android app. Hey @mjg59, im a student in Honduras, and im trying to make a little app to turn on or off a Eufy Bulb but i cant find any documentation or api for any Eufy product. How do found the way for connecting HA to a Eufy Bulb? Thanks! mjg59, I have the smart plug (linked above), so let me know if I can provide any assistance or some form of testing. Happy to help, if at all possible. I recently purchased some Eufy bulbs for a chandelier that I have in my dining room (5 bulbs). This would be awesome to have. How close are you to having this ready @mjg59? I’m still waiting for permission to release the code - I’m trying to get it done via a separate process at the moment. Sorry it’s taking so long! so that the access credentials can be pulled down from the cloud service. Right now this will only work for lights and may go quite wrong if you have any switches or vacuums on your account, but I’ll try to sort that out before too long. I don’t mean to be dense, but is it active now in the current version as a custom component or will it be included in the upcoming release? Is the component active now in .66? I was looking for it in the release docs, but didn’t see it. Figured that it required a little more for inclusion into potentially .67. I got switches working today, so I just need to unify the platform and add components for switches and lights and this will be good to go. No idea about vacuums though, I’m afraid! Excellent news! Any chance the energy monitoring smart plug might be easy to add? I’m pretty sure the answer is “no”, but had to ask!